The atmosphere around us cloaking the earth is a fluid and the clouds in its lower parts are just floating by without any restriction all over the globe. This is the basic concept of cloud computing. To set up a virtual station in the transient internet and access it at anytime, from anywhere and by any means. 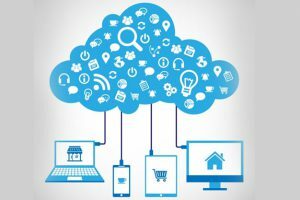 Cloud computing is an ingenious paradigm of information technology stream and with the cutting edge technologies of modern times it is renovating the digital market from a mere trading ground to an inspirational boulevard of progress. To help people get known to this cloud computing and making them used it to their advantage, ReqRes is catering out its cloud computing services. We are a firm that is well versed with the concepts and methods of the cloud computations and we have all the necessary frameworks and a pool of specialists to dish out any and every cloud computing projects for our clients at an astonishing success rate. Cloud hosting with maintenance for clients requiring both access to our cloud and maintenance of their channel. We allow staffing for this. Self operating cloud computing for clients who will use our virtual interface only. Paid cloud hosting for clients with just cloud access requirement. ReqRes cater all these to our clients according to clientele in a cost effective way with a promise of prospect.